It’s difficult to express properly in words how spectacular India can be for photography. In many ways it can easily rival other photogenic places in the world in terms of species variety, wildlife encounters, landscapes, people and of course numbers of images captured. The beauty of India is that you never expect it to be as good as places like Africa, Antarctica or Japan for photography until a trip like this happens and then India just astounds you. 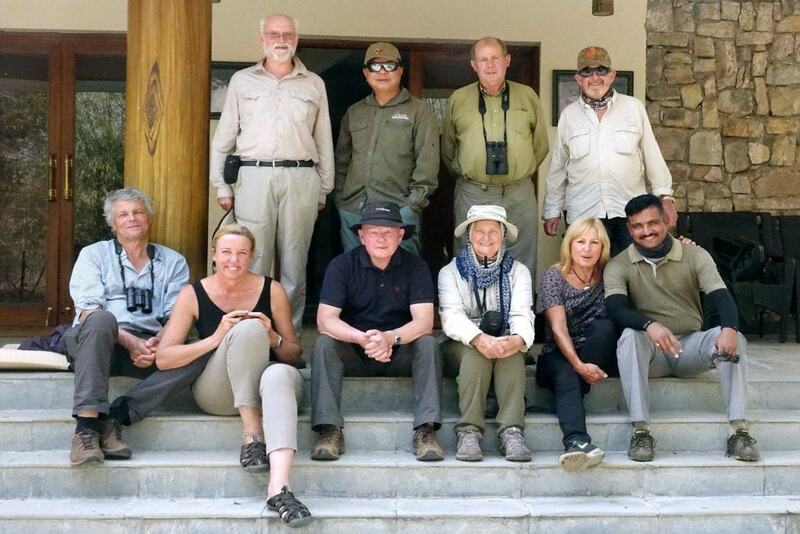 The 2018 Indian Wildlife Spectacular trip guests were just so very lucky. We got up close and personal with wild Gharial, playing Bengal Foxes, rutting Blackbuck and Chital, wild Asiatic Lions on every safari we enjoyed in Gir, magnificent tiger encounters in Tadoba and we even ventured out on foot to the den of a Striped Hyena where we met a female shyly looking at us from a mere 10m away! Our tour started early in the morning in Delhi where we drove to Agra by minibus in time to stop at the stunning Agra Fort before we went to lunch. Entertained by our local guide whose list of superlatives for his home town of Agra stretched into the 30s, we spent an hour wandering around this beautiful complex of palaces which was home to the Emperors of the Mughal Empire until the 17th century. It was a great opportunity to get our cameras out and practice doing a spot of people and architecture photography while getting a taste for India’s fairy tale history. We left the fort to dine at a local restaurant for lunch before visiting the incredible Taj Mahal that afternoon. Thankfully the renovation work on this famous monument had been completed around two weeks prior to our visit so we got to see the Taj in all of its romantic glory, scaffold free. Wandering around the beautiful gardens of the Taj we found a nesting Spotted Owlet in a tree close to the entrance and the whole group enjoyed photographing this stunning place up close, through archways and inside the reflections of the Taj’s water features. The Taj is almost without peer in its beauty and even for the guests who had visited previously, its newly renovated appearance took our collective breaths away. 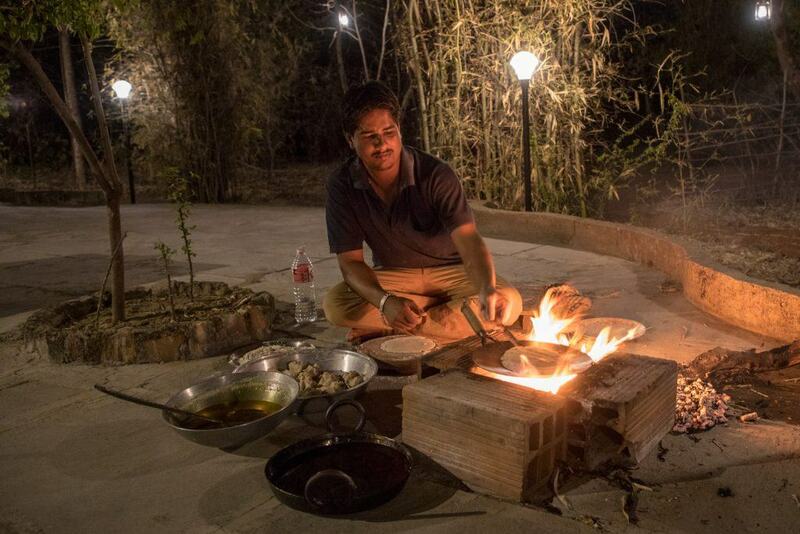 Reluctantly, we departed from the Taj and drove to the Chambal River where we arrived at our lodge in time for dinner. A tributary of the Yamuna River in central India, the Chambal River acts as a natural geographical boundary between the Indian states of Uttar Pradesh and Madhya Pradesh and it forms a part of the greater Gangetic drainage system. Despite the fact it is peopled on either side, the Chambal is home to an incredible system of riverine wildlife, seen in few other places of India. We rose before dawn to head to the river at sunrise. Sadly clouds thwarted the early morning light but we enjoyed an opportunity to meet an elderly cameleer wading across the river with his camel that was laden with firewood. It was a quiet morning on the river. The workers on the new bridge had not arrived so we enjoyed the near silent encounters with Bar-headed Geese, Ruddy Shelduck and Indian Cormorants. Boarding the boats we made our way down the river where we enjoyed watching Pied and White-throated Kingfishers, Greater Curlews, our first Indian Skimmers and more cormorants. As the sun burst through the clouds and the temperatures began to rise, we started to see some of the Chambals crocodiles exiting the water to sun themselves. We enjoyed some encounters with the strange Indian Gharial, a narrow nosed crocodile with a collection of teeth protruding from the end of its snout. While Gharial can be quite large in size, they always appear a little more dainty than their broad-snouted cousins, the Indian Muggers, that share the river with them. Towards the end of the morning boat cruise we laughed as we watched a Little Cormorant struggle to eat its lunch of fish and we enjoyed an encounter with a large Indian Soft-shelled Turtle and a very rare Red-crowned Roof Turtle before we returned to shore.Our afternoon boat trip allowed us to get better views of Ganges dolphins, which seemed more numerous than the morning trip. We also had some fantastic encounters with Gharial and Mugger crocodiles. As the sun began to set, we returned to the Chambal’s colony of Skimmers to photograph them, Painted Storks, Eurasian Spoonbills, Knob-billed Ducks and the herons and egrets present on the sand bank. The setting sun turned the river water gold so we played with some abstract photos of the river ripples in the red glow before we arrived back at our landing. After an incredibly early morning start for Delhi airport, we flew to Ahmedabad in Gujarat where drivers took us down to the sparse camp of Desert Courses in the Little Rann of Kutch. At first glimpse, the Little Rann of Kutch or “Rann” as it is simply known, doesn’t look like it would hold much wildlife. During the monsoon rains the Rann is completely submerged in flood waters. By the time we had arrived, these had evaporated in the pre-monsoon heat, allowing us to explore the dried out mud flats and lowland shrubs, looking for Indian Wild Asses. At sunset we found a herd so our group enjoyed some wonderful sunset silhouette photography of these pretty little wild horses. The next morning we had received advice that a Bengal Fox mother was being regularly seen with her two kits at a den in the Rann, so our group went off and spent the morning watching and photographing all three of these foxes cavorting in the dried mud pan at their den site. Over the course of two separate visits we watched these kits jump all over each other in between short naps at their den while their mother went off to hunt and find food for them. Their den site seemed to have been carefully selected in a clay pan that was edged by a natural dirt rise on all sides. The entrance to the den was partially hidden under a Presopis bush, providing a perfect spot for the kits to play and then duck for cover if any danger appears. The Little Rann of Kutch is an odd place. Viewing the countryside from the window of a car can feel like you are travelling through the badlands of western India. It is flat and relatively non-descript. Even the lodges in the area are basic. Most of them are prone to flooding in the monsoon and have to be rebuilt or renovated each year when the rains stop. It is deceptive though. 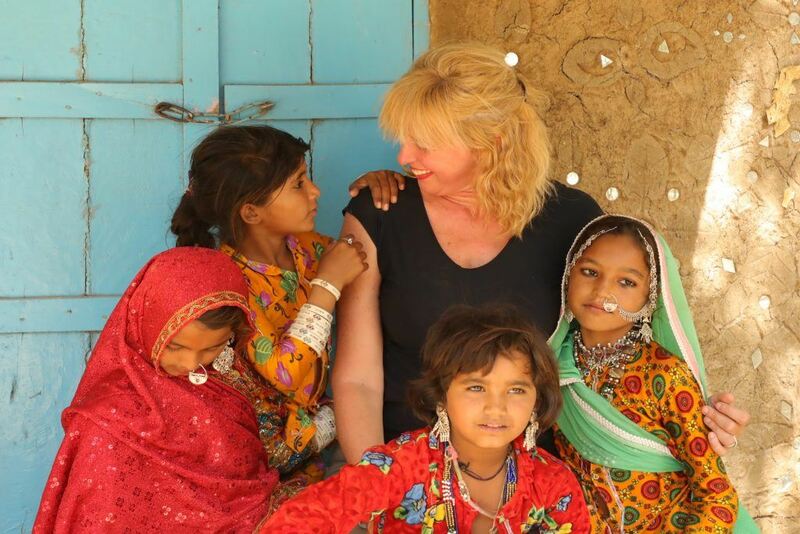 This somewhat drab landscape hides so much beauty and during this trip, when Inger discovered she had some people interested in doing people photography, she organised for a group of local Mir Rajasthani women to visit the lodge from their village so we could take photos. The Mir people, who came to Gujarat many years ago from Rajasthan, not only converted from Hindu to Islam to escape the caste system, many of them worked as wholesalers for the meat trade, buying animals and selling them to butchers. Today many of these elaborately dressed women ply a trade of jewellery making and selling. Alongside the opportunity to do photography with them, we also indulged in a bit of haggling and shopping for souvenirs with them. Later that afternoon we found out about another den of a predator, this time a Striped Hyena. Keen to see one of the world’s rarest and most difficult to see hyenas in the wild, we ventured off to find out if we could spot them. We arrived at the den site around 2 hours before dusk, found a spot and we sat, waiting for something to happen. We made sure we were hidden from the den entrance and we sat silently. Around an hour later we saw her, a young female Striped Hyena had emerged from the bushes nearby and was moving directly towards the den right in front of us! She seemed wary at first but soon settled down and got used to the idea we weren’t a threat. Over the course of nearly two hours we all had the most incredible experience with this normally shy hyena as she allowed us to creep through the bushes photographing her from a different angle. We were so extraordinarily lucky to spend time at this den and I think the experience of communing with one of the world’s shyest hyenas is something that will stay with our entire group for a lifetime! The Little Rann of Kutch can be a harsh and difficult place to visit for photography but when it performs, it throws on a show that is unforgettable and the Striped Hyenas we met on this trip were the perfect encore. The next morning we left the Rann for an entirely different experience at Blackbuck Lodge in Velavadar. Velavadar is a small reserve in Gujarat that forms the last stronghold for arguably India’s most beautiful antelope species, the dainty and athletic Blackbucks. On our first safari in Velavadar we enjoyed an introduction to the dainty antelopes that we were to enjoy over every safari in here. Through the course of four safaris in the reserve we watched Blackbucks springing high in the air over the grasslands and roads, we watched male Blackbucks rutting and sparring with their fellow males, occasionally we saw male Blackbucks sniffing the air around females to find out if they were in oestrus and able to mate. We even found an albino Blackbuck mixing in with the usual coloured animals.The grasslands of Velavadar lend themselves to beautiful photography with the great swathes of golden grass creating a spectacular background for other creatures including Nilgai, Wild Boar and a number of predators including Striped Hyena, Jungle Cat and Grey Wolf. During our stay there we had two wonderful encounters with Striped Hyenas, another two encounters with Grey Wolves and a few of us were lucky enough to spend time with a hunting Jungle Cat on our last safari of our stay! Wrapping up our stay in Velavadar we drove north to the tourist town of Gir, which sits at the edge of the Gir Forest, home to the last remaining wild lions of Asia. 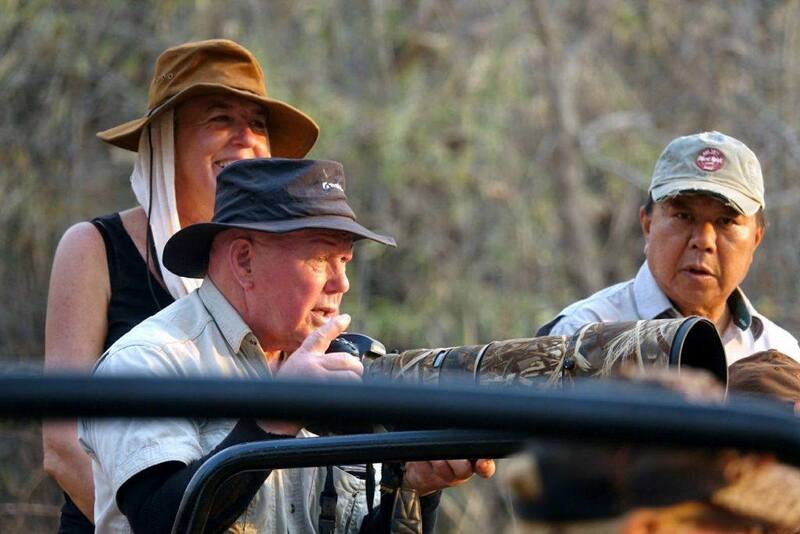 Over every safari in Sasan Gir, our group was lucky enough to see wild Asiatic Lions. Most of our encounters were photographable, except for one female that we met walking in the forest one morning, searching for something to eat. At other times, we had lions walking alongside our trucks, resting next to waterholes and we even met a larger cub with its mother and another female on one of our safaris! While lions were the main draw card of our visit to Sasan Gir, our group also enjoyed some great encounters with bounding Grey Langurs, a curious Painted Francolin, Jackals, Nilgai, Sambhar deer and Spotted Deer (Chital). 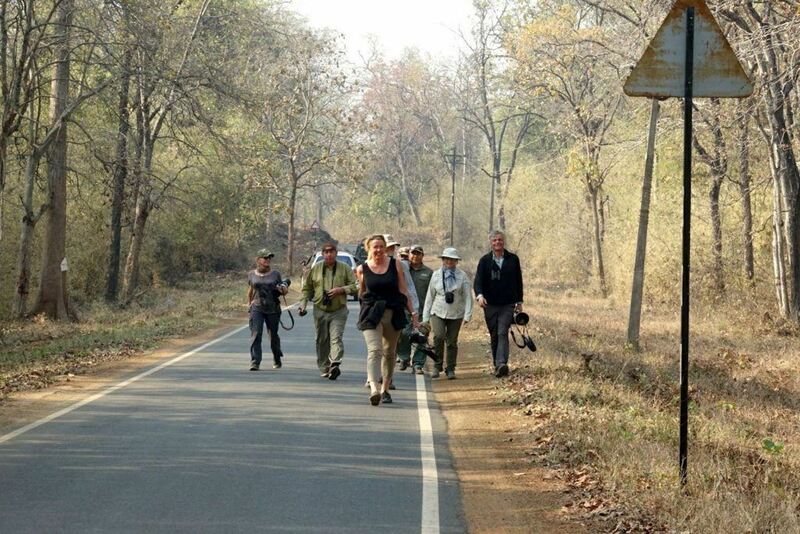 Perhaps the greatest highlight of our Indian Wildlife Spectacular trips is our 9 night stay at Tadoba Andhari Reserve. Our preferred lodge lies just minutes from one of the quieter gates of the reserve, allowing for quick access and a very comfortable stay with wonderful good food. Tadoba teems with wildlife and not wanting to miss anything, we enjoyed a total of 18 safaris here. We enjoyed an incredible 38 tiger sightings in just 9 days in Tadoba! Of all the world’s wild cats, Tigers perhaps inspire the most awe and adrenaline of them all. Travelling in Indian Tiger reserves it is hard not be swept up in the fairy tale of tigers. Many Tigers in India are so well known to the reserve guides, drivers and photographers, that their stories, including their parental lineage, hunting activities and behaviour are intimately known. Tadoba’s Tigers are legendary and many of them are very well known. After all, the ‘mother’ of all of India’s tigers lives here – Maya. Some of the tiger encounters we had on this trip in Tadoba were incredible. They ranged from adrenaline rushed close encounters as Sonamwalked literally less than 2 metres from our jeeps. A wild, early encounter with Choti Tara walking along the trails with her two near adult male cubs and some beautiful experiences with Maya who had two tiny cubs in tow with her on this trip!Of all our tiger encounters in Tadoba, it was perhaps the ones with Maya and Sonam that enthralled us the most. Our first sighting of Sonam was at the reservoir area of Telia. To our surprise we saw that she had four cubs with her on this trip and at one point, Sonam went to rest in the water with all of them allowing us to get shots of five tigers in one image! Later in the trip, on a spectacular afternoon safari at Jonam Jhora, we had a surprise visit from Sonam and three of her cubs where they came and drank from the waterhole right in front of us! That was a memorable afternoon on safari in Tadoba – one where we saw a sloth bear, numerous langurs, Barking and Sambhar deer at the same waterhole, completely unaware of the dangerous tigers lurking in the bushes nearby! The last time we saw Sonam was perhaps the most spectacular encounter we had with her. At Jonam Jhora we saw her on her own one afternoon as she emerged from the bushes to drink and rest. Twice she rose from her watery rest to walk right up to our jeeps. Maya enthralled us with her two cubs also. At one point Maya had managed to kill a Sambhar deer at Pandarphauni and we watched her trying to drag the carcass up in the bush to feed to her cubs. This turned out to be impossible so her cubs joined her to feast on it at the edge of the water. Once a bit of it had been eaten, she apparently managed to drag the carcass up in to the grass, only to have it dragged back down to the water’s edge by the father of her cubs, Matkasur, who wanted to have his dinner of Sambhar while he swam! On other safaris we watched Matkasur swimming, Maya suckling her baby cubs and we had a hilarious encounter with a silly Sambhar who ventured slowly down to Pandharpauni to drink, just metres away from where Maya and her two cubs were resting! It seemed to take ages to notice the danger so close until finally it let out a few warning barks for tigers! We all laughed. With such a slow reaction it was little surprise that Sambhars often become dinner for tigers! We enjoyed no less than four great encounters with Wild Dog packs in Tadoba including one in New Tadoba where we saw a pack with eight cubs wandering across the road right near the gate to the reserve! Tadoba is renowned for its Sloth Bear sightings and this trip proved to be excellent again with four different bears sighted by our group in the reserve. Sloth Bears are always a delight to see. 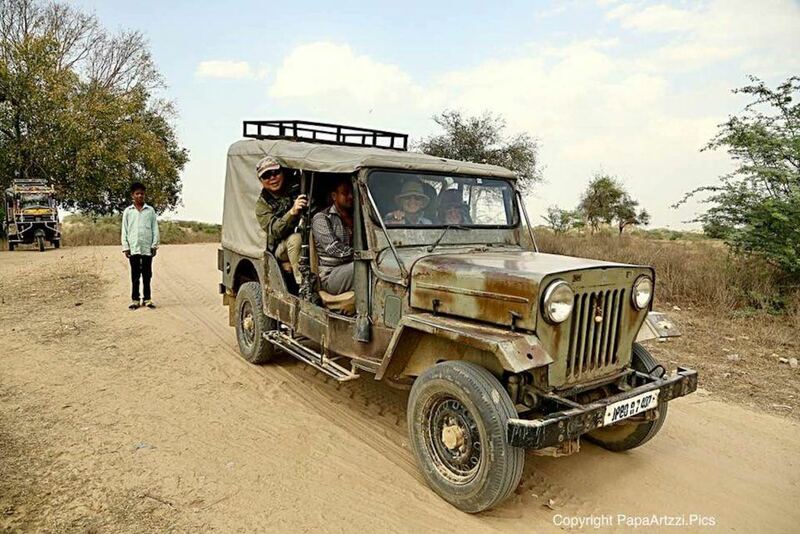 They can often be very shy in some reserves but in Tadoba we were blessed to have two bears walk out of the bamboo forest and pass by our jeeps. At one waterhole we had two separate sightings of a shier Sloth Bear ambling out of the grasses and down to the water to drink less than 150 metres away from us. Tadoba turned it on for our group big time on this trip. We enjoyed some beautiful encounters with water birds fishing and dancing on the backs of deer, in New Tadoba we spent the morning with a large herd of Gaur, on other safaris we were enthralled with playful troupes of langurs and rutting Chital in the early morning sun. It was a fitting end to one of the most spectacular tours we’ve led for wildlife in India.  Australian professional wildlife photojournalist and expedition leader Inger Vandyke now lives in the Forest of Bowland in northern England with her partner and fellow Wild Images photographer Mark Beaman. Inger has a long-established photographic career publishing images and stories in over 30 publications worldwide.